Kathy Schrock's Kaffeeklatsch: It's all about choice! This is a re-posting of a guest post to the SmartBlog on Education blog which appeared on February 6, 2013. It is tagged in their "emerging technologies" section. I am a gadget geek. And I love my iPad. However, there are plenty of other choices on the market today, and I have come to realize that a mix of devices may be a better choice in the educational setting. The Apple App Store is full of well-vetted and useful software. When you hear “there is an app for that,” it seems to be true! From content-based applications that can be used for everything from remediation to enrichment, and apps that let students create videos, audios, simulations, infographics and more, the use of the iPad to support teaching and learning is truly remarkable! However, the iPad really shines as a one-to-one device. Personalization, choice of apps and work that lives locally on the device makes you feel connected with your iPad. A shared cart of iPads, although something that is affordable for schools, is probably not the best choice. Taking care of the installation of apps and maintenance of the devices, as well as providing a positive experience for each shared user, is not easy. I often suggest schools keep a cart of iPads in a single classroom, have the teacher and students document their successes (and failures) and provide the rationale to extend the model of a one-to-one initiative to other classrooms. I recommend the Google Chromebook for a shared cart of devices. 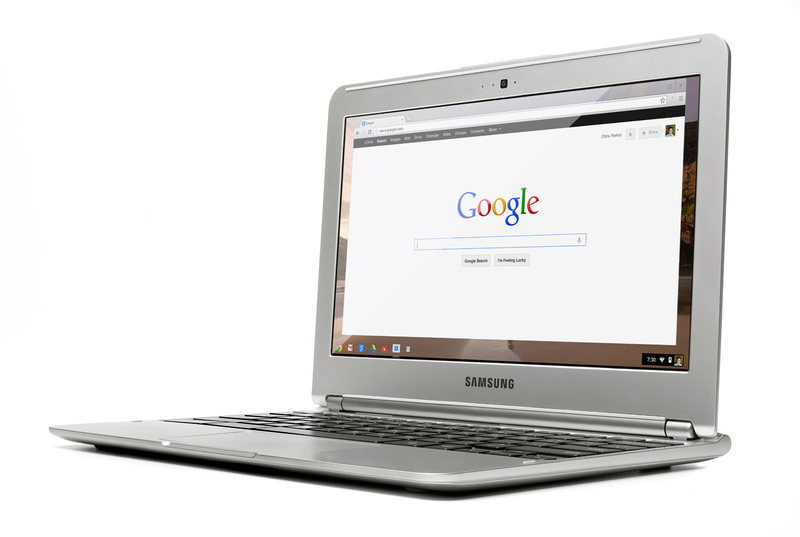 In conjunction with becoming a Google Apps for Education school or district, the Chromebook allows easy access to each shared user’s content. Since each user’s work lives in the cloud, and the Chromebook makes it easy to log on to the device, it is perfect for a shared environment. There are many extensions for the Chrome browser that allow you to do everything from editing images to using a math equation editor. And, the Chrome operating system lets the user work on Google Docs and Spreadsheets when not connected to the Internet and syncs them up when you do get in a wireless environment. The Samsung Chromebook has a solid state drive and boots up within seconds, has a school-day-long battery life, and is less than $250. Another crop of tablets run on the Windows operating system. Microsoft makes the Surface and Surface 2 tablets that host a version of Windows called Windows RT. Windwos RT includes access to the Office suite, but other apps must be installed from the Windows App store. (Added 11/16/13: The Windows Surface RT can not join a domain if that is something you need to have it do in your school.) The Surface is also available with Windows Pro, which will run all the Windows programs that you can now run on your desktop. However, there are also some great 10.1-inch tablets available right now that run the full version of Windows 8, such as the Samsung Ativ Smart PC , the Lenovo Thinkpad Tablet 2 and the Asus VivoTab Smart. I was impressed with the keyboard docks available for these devices. The keyboards give the tablets a clamshell design, like a regular laptop. Choices are good, and a mix of devices and operating systems should be considered in the school setting. Take the time to try each one out, and pick the one that is best suited for the grade level, teaching environment, and what best gets the technology out of the way and allows learning to occur!